Film Festivals make films accessible to us that would often otherwise not be. Those who are excited about seeing films earlier than their theater release, if they even get one, have their interests accommodated by film festivals. Films from other countries are shipped to local venues so one does not have to travel far to watch them. Through subtitles, films that would be partially accessible through images and music are made more accessible through translation of dialogue. Yes, some but not all films ultimately become available on the internet, but festivals provide a communal experience that film-goers savor and the buzz from a festival makes films more 'accessible' in that they are on the radar of folks who might stumble upon them on the internet. Film festivals make films accessible in tangible ways and through the word of mouth that spreads from audience responses that eventually land on the internet as tweets and likes. Many don't think of these as accommodations. Words like 'accessibility' and 'accommodation' are reserved when talking about the disabled. Non-disabled privilege is not having to think about how your 'orthodox' body is accommodated daily in how buildings and transportation are engineered, in how your convenience is structured for you. Through efforts such as the displaying of films in foreign languages, film festivals provide accommodations to some disabled groups unintentionally. Subtitling is not closed captioning, as the latter include notation of diegetic sound, but subtitled films provide greater film access for the Deaf and Hard of Hearing. By taking place in venues that meet ADA guidelines, many of the venues where film festivals take place are already accessible for wheelchair users and other individuals who require greater mobility assistance. 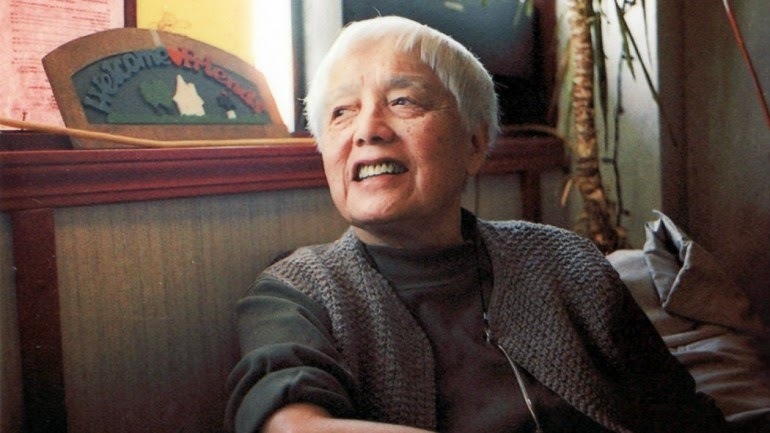 One of the Centerpiece Presentations at CAAMFest this year is on the work of director Grace Lee and includes her most recent documentary, American Revolutionary, about the amazing Civil Rights activist Grace Lee Boggs. In addition to her political work, Boggs is also a wheelchair user. Her presence at this year's CAAMFest had me wanting to explore something that should always be on the minds of filmmakers and film festivals - accessibility. Even though the internet has increased our access to media, many of us still enjoy, if not prefer, watching films communally, watching with others. So how does a film festival like CAAMFest make their festival accessible to all who might appreciate what the Center for Asian American Media provides the San Francisco Bay Area every March? 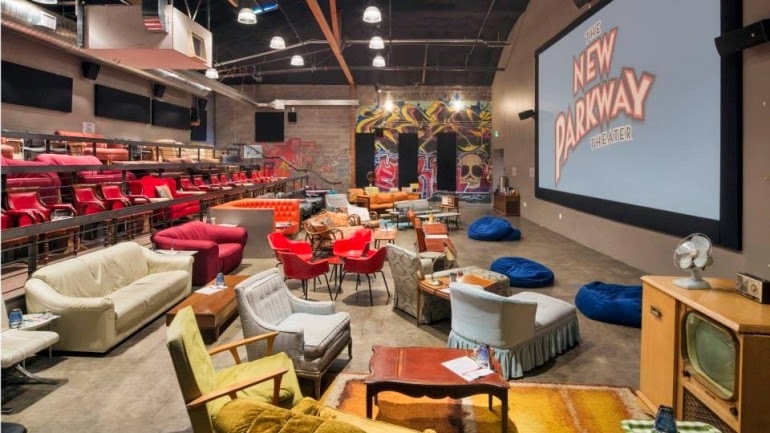 In addition, what makes film sets accessible? To find out, I spoke to three individuals about aspects of film accessibility, primarily focusing on wheelchair accessibility. I spoke with Festival & Exhibitions Director Masashi Niwano about making CAAMFest accessible, with wheelchair-using actress Jennifer Kumiyama about film/stage/TV accessibility, and with local disability activist Alice Wong about her experience attending local San Francisco Bay Area film festivals as a wheelchair user. Niwano pointed out you don't want to rely on assumptions of venues meeting ADA (American Disability Act) guidelines, because it's not just about securing , say, hotel accommodations that meet attendees' needs. "It's not only for attendees, but also for our staff, volunteers, filmmakers and industry guests who come to our festival. Our Operations team works very closely with the venues to make sure all goes well." Older venues provide particular challenges "With the addition of the Great Star Theater, we reserved a lot of time making sure that it could accommodate people with disabilities, including people who are wheelchair-enabled. Since the theater recently re-opened and is close to 100 years old, there was much to be done. Their restrooms are located down stairs which aren't wheelchair accessible, so we work with wonderful neighborhood businesses who lend their restrooms." Part of CAAMFest's efforts to make their venues accessible is to listen to their patrons/attendees. "...At the Great Star we also spent a good amount of funds to steam clean all the furniture (including 600 seats). We learned from the senior citizen community that dust can negatively effect their film viewing. Of course, it effects everyone and we'll be pre-cleaning all of our theaters before showtime." If you're someone who pays attention to the sponsors of film festivals, you might have noticed that CAAMFest acquired the AARP (American Association of Retired Persons) as one of their sponsors this year. The AARP's sponsorship was mainly motivated by the Memories to Light program, a program encouraging Asian-Americans to digitize their home movies for greater archival access. By having a sponsor like the AARP on board, CAAMFest now has more opportunities to hear what the needs of that segment of the population, which includes things like mobility issues, would need to make the festival truly accessible. Alice Wong, who when chosen as the Angry Asian Man's 'Angry Reader of the Week' partially described herself as "A wheelchair-using, hell-raising disabled Asian-American woman", is also a film fan. I was particularly curious to ask her about how lines at screenings or the scrums after screenings impact her.. Lines snaking around the corner causing consternation for local businesses or non-festival-going pedestrians on the sidewalk can be even more problematic for wheelchair users. (This is something that isn't the fault of the venues or festivals. This is mainly caused by our culture's insistence on providing heavily, publically subsidized space for private car storage along our streets which keeps our sidewalks narrow, but that's a whole other tangent I'll leave in this parenthetical.) The San Francisco Film Society gets high marks from Wong in regards to this specific area of access. "I really appreciate the SF Film Society--they have signage marking a priority line (in the front) for ADA and Festival Pass holders." But as for other festivals, "It would be great if there was language somewhere in a festival's website saying that there is priority seating/wait lines for people w/ disabilities, especially for first-time attendees." Sometimes there are problems once you get past the line. During one gala screening at a film festival, Wong found the only wheelchair-accessible seats were taken up by sound/video equipment. "The only way I could watch was to sit near the center of the aisle close to the door. It really annoyed me. When I'm in areas like that, I usually get called a 'fire hazard' which isn't always my fault!" I would say it's never her fault, but poor design that puts wheelchair-users into positions where non-disabled people falsely see them, not the design, as the problem. Wong has two tactics she uses to avoid the post-screening bottlenecking that often occurs at festivals. "After a film ends, my strategy is either to leave quickly before the credits, (I try to avoid doing that because I think that's part of the experience), or to wait until most of the people exit. For some people with disabilities, exiting while the theater is still dark with lots of people crowding around can be disorienting and possibly dangerous. I usually wait until the lights are up and most of the audience has left." An area of access many don't think about is how festivals present films that feature the disabled. "When it comes to movies about people with disabilities, there's always a bit of a cringe-factor/trepidation when I read the synopsis. If I see the word 'inspiration' I will slightly vomit in my mouth and probably not buy tickets to see it. I understand that in general people love seeing people with disabilities 'overcome their disability' and inspire others through their suffering. Just ick. I find most of these films gloss over the disability experience and are really geared for the self-satisfaction of non-disabled people, (there's usually a charitable non-disabled character)." As the experience of even the Longmore Institute notes, seeing accessibility needs and listening for them from your constituencies are key. Wheelchair-using singer/actress Jennifer Kumiyama told me speaking up to those in charge helps as well. 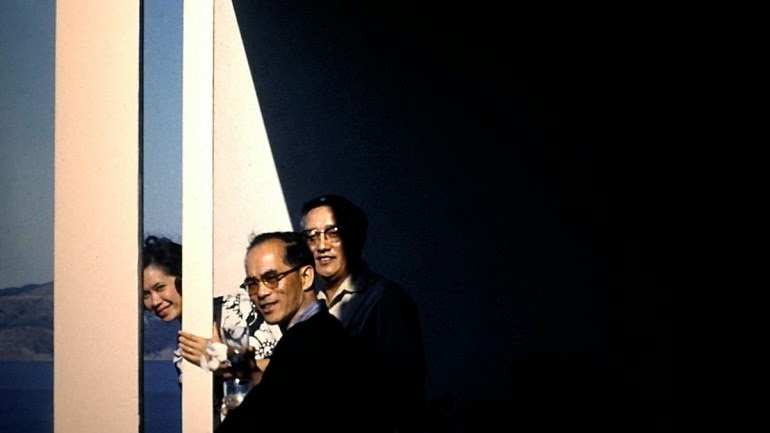 When the folks on the film set of The Sessions (Ben Lewin, 2012) told her 'Whatever you need, just ask for it', Kumiyama never hesitated to voice accommodations she would require. A big problem she's found is "I wish there were more accessible trailers". Due to this lack, while on the set of The Sessions, besides being provided her own portable toilet, Kumiyama was given one of the master bedrooms of one of the houses utilized in the film. She said that even though she shouldn't, she kind of felt bad that her digs were even better than Helen Hunt's trailer, leading Kumiyama to offer Hunt her master bedroom in order for Hunt to perform her morning yoga exercises. Like the situation Niwano mentions at the Great Star Theater, accommodations often have to be provided by surrounding businesses. Kumiyama said she's never had an experience like that portrayed in one episode of the web series My Gimpy Life where the main character's dressing room is the wheelchair accessible restroom, but at one shoot she did have to use the restroom at the nearest Starbucks. Kumiyama, who you will be able to find on stage this year again as part of the Aladdin musical production at Disney California Adventure Park, added that "In a perfect world, I have everything I need." But many folks on film sets aren't comfortable broaching the subject with disabled actresses and actors. "Disability is still taboo in a very weird way." She'd like every location scout in the business to know that it is totally ok to ask her what she needs. "It's comforting to me to deal with people who have a take-charge mentality." And it's that quote that seems to resonate for all three individuals with whom I spoke. Kumiyama works at her best with proactive location scouts. Wong has a better film festival experience with proactive staff and volunteers. 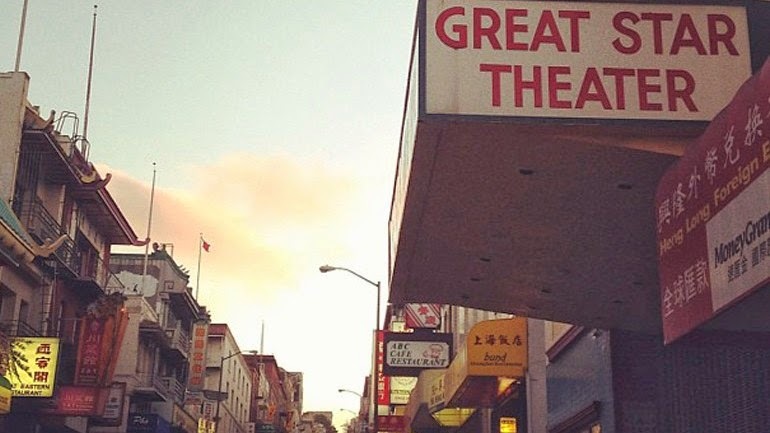 And Niwano finds that listening to the needs of CAAMFest patrons makes their experience at a renewed venue such as the Great Star Theater an even more pleasurable experience for all.